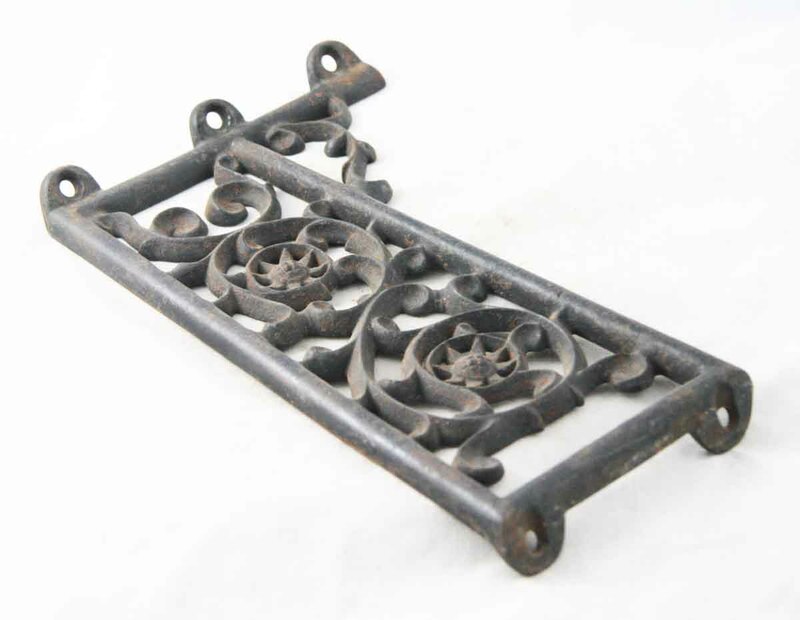 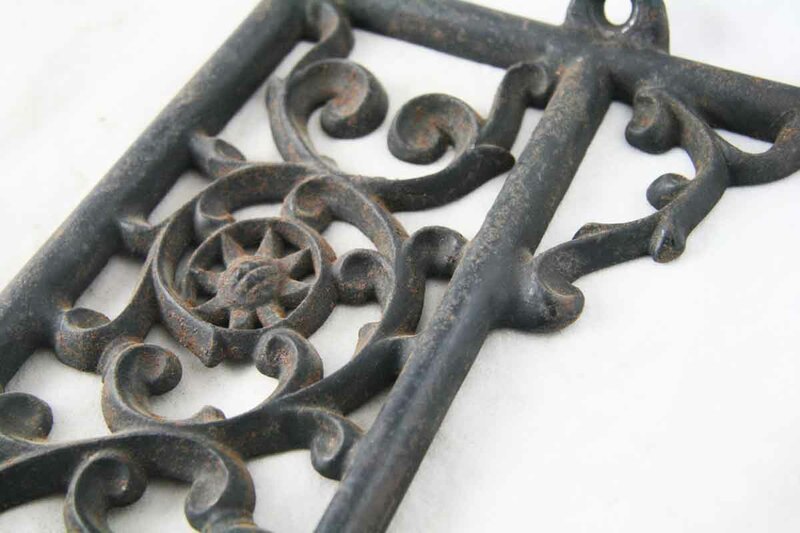 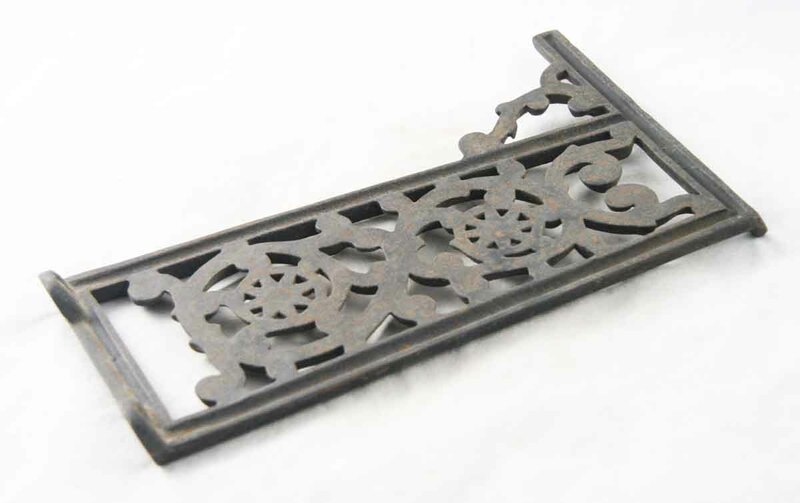 Antique bench bracket with ornate design. 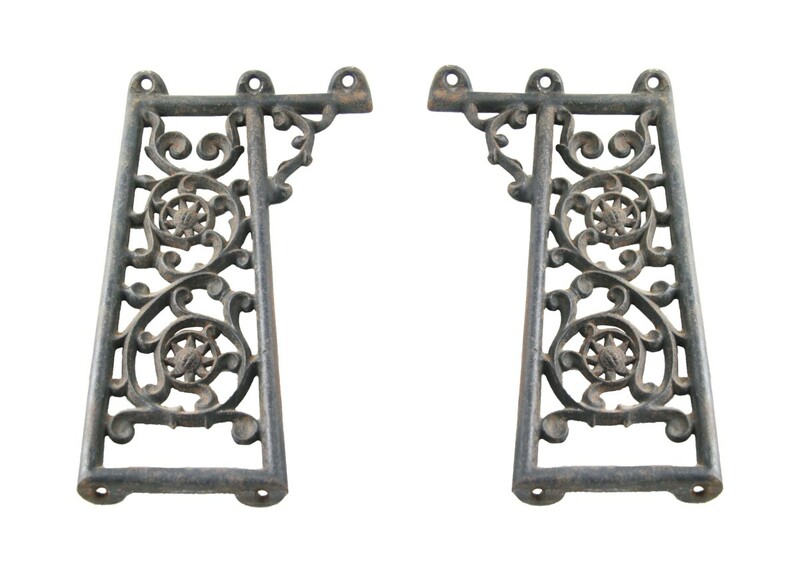 These brackets mount to the shelf and the surface below. Sold as a pair.